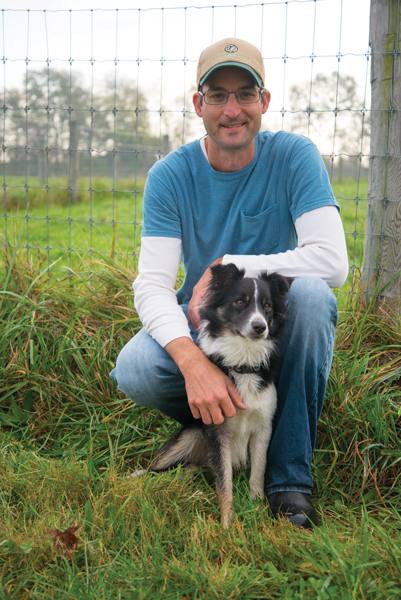 Nathan Drager lives and farms by the motto, healthy soil = healthy plants = healthy animals = healthy people. “I could sit and talk about this stuff all day long,” he says. Nathan’s 50-acre farm, which sits between Route 441 and the Susquehanna River just north of Marietta, boasts its own little ecosystem, as three of the USDA’s Plant Hardiness Zones converge in the area. On the day we visited late last October, heavy fog was rolling across the fields, and the grass was heavy with dew. 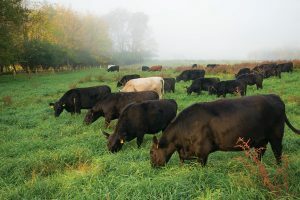 Nathan describes the soil as “black and sandy, with some limestone.” He points out that it “grows good grass,” which is the main – as in 100% – component of his Lowline Black Angus herd’s diet. Nathan bought his acreage from Armstrong World Industries in the mid-90s. He’s no neophyte to farming – it’s a Drager family tradition. His great-grandfather, Walter Drager, Sr., started it with his farm in West Donegal Township. His six sons – including Nathan’s grandfather, Harold – had farms of their own. 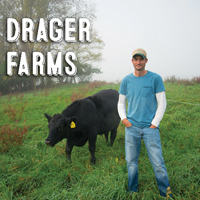 “There were Drager-owned farms all over this area,” Nathan remarks. The tradition carried into the next generation, as Nathan’s father, Dennis, became a dairy farmer. His 200-acre farm is adjacent to Nathan’s, as is an uncle’s farm. “My dad’s farm was one of the Top 10 dairy farms in the county back in the 70s,” he notes. Nathan worked on the farm from childhood but always vowed the life of a dairy farmer was not for him. 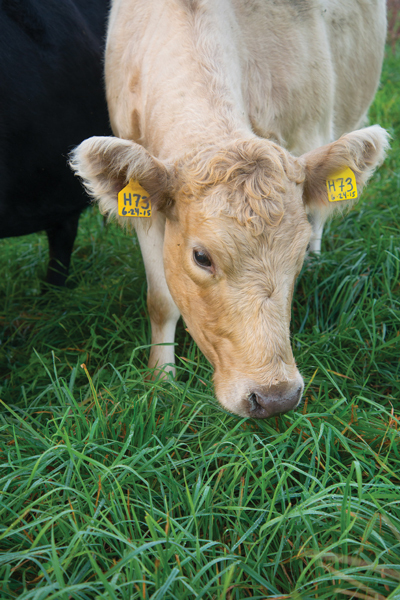 For a dairy farmer, life revolves around the cows. Milking won’t wait … for anything. He also regards dairy cows as the “divas” of the bovine world. “It seems there’s always something wrong with one of them,” he says. He tried to leave farming several times, but as he admits, “Once it’s in your blood, it’s hard to get it out.” The ultimate test came in 2004 when his father “retired” and sold his herd. 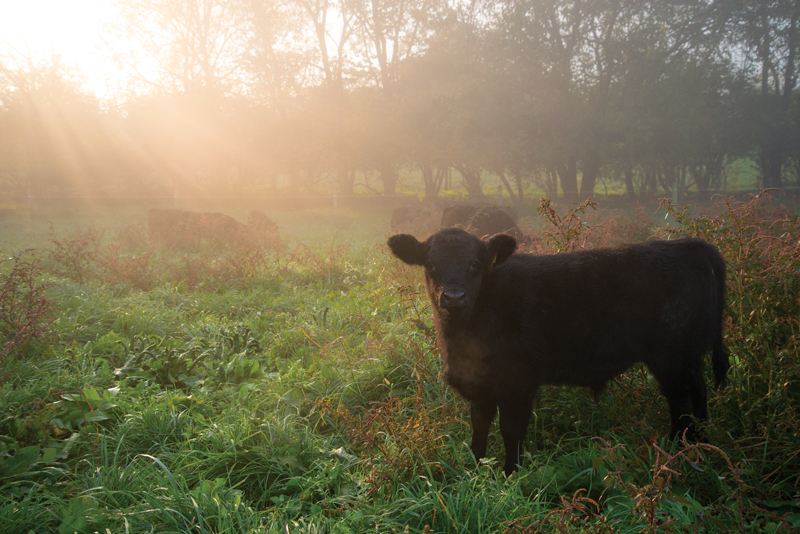 Nathan saw an opportunity to try something different, and in 2005 he purchased three beef cattle. His intention was “just to play” and see if he liked that type of farming. Subsequently, he became interested in organic, pasture-based farming and began doing his research. Here’s where another motto comes into play: “If you’re good to nature, nature will be good to you.” He’s discovered that healthy grass will simply take over and choke out weeds. When weeds do manage to get a foothold, he digs them out by hand. “I’m not certified organic, but I do follow the guidelines,” he explains. 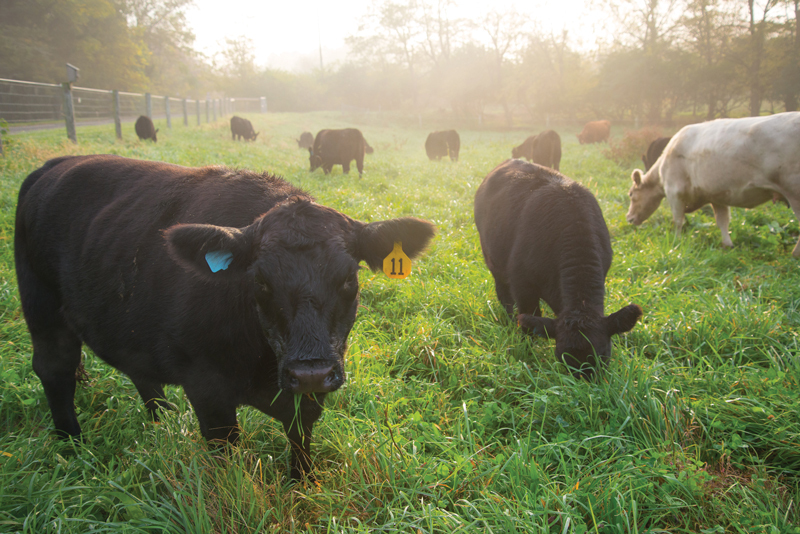 However, the farm is dually Certified Grassfed and Animal Welfare Approved by the organization, A Greener World (AGW). In 2012, he purchased a bull and started a breeding operation. The only injections the cattle receive are for tetanus. They are also free of hormones and antibiotics. Seeing the film, GMO-OMG convinced Nathan he was on the right track from both a health (animals and humans) and environmental perspective. Nathan’s philosophy is “let a cow be a cow – don’t overthink it.” Yet, he is protective of them, ensuring they always have shade and watching the weather, so that he is prepared to deal with snow storms, which means rolling out hay as a substitute for the grass. 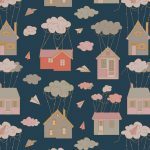 He thinks back to the beginning of the venture and recalls sitting at the bar at the Railroad House and pondering what he was going to do with product that had gone unsold. He shared his dilemma with Joey Bowden, who co-owns and manages the restaurant, and to his surprise, Joey said, “I’ll take it.” A partnership was forged. 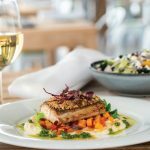 The venture has proven to be a success, and it pairs beautifully with the restaurant’s focus on utilizing locally grown products for the menu items Chef Talon Lewis creates. “Right now, I’m providing them with 100 pounds of beef every two weeks,” Nathan reports. He’s proud to know that the restaurant’s guests enjoy his products and appreciate his approach to raising cattle. “I’m aware that the price point isn’t for everyone,” he says. Nathan is also focusing on raising a new generation of farmers. He credits his grandson, Asher, for “changing my outlook on everything. I just love spending time with him.” Nathan and the 2-year-old spend their time together tending to the cattle, as well as the goats and the pigs that live on the farm. 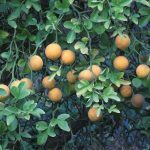 For more information about Drager Farms, visit dragerfarms.com or call 717-951-0327.